Super Caribbean Cashpot is a 5 reeled, highly rewarding video slot machine. The game comes from the rich and varied gaming portfolio of 1×2 Gaming. Being a 1×2 Gaming powered slot vouches for its quality and its ability to provide players with an unforgettable gaming experience. While the game might not be the best 1×2 Gaming slot out there, and it comes with medium leveled visuals, it is still able to provide players with a one of a kind experience. 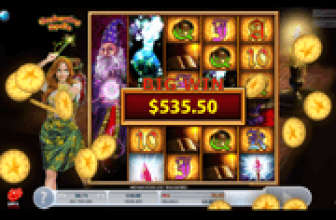 If you don’t believe it, try it yourself here with free demo credits and you will surely follow that experience by placing real money bets at a 1×2 Gaming powered online casino. 1×2 Gaming is always bringing unique games to the online gaming market, and this game is one of these unique games. The game has a calming and a relaxing theme as it invites players to take some time for themselves. They will do that through the reels of the game by enjoying a trip to the Caribbean as they enjoy tropical drinks, the sand and the ocean. Players will not only enjoy these things, as they will also get to claim plenty of rewards and prizes. They will do that through the lines of the game and the special features and symbols that the game hosts. The symbols include tropical trees, kiwis, bananas, tropical drinks, sea shells, tropical masks, stars and coconuts among other symbols. This game, Super Caribbean Cashpot, has a 5 reeled format that hosts nine paylines for players to place wagers on. These wagers can be placed right under the reel set as players will find the different betting options that they will toggle through. These options are the number of bet lines, the value of coins and the number of coins on each line. 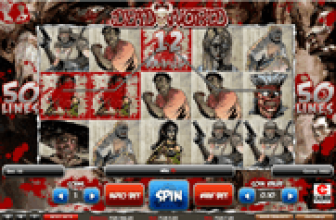 Players will then click on spin to start the game. They can also use the Max Bet button to start the game with the highest bet. Another game play function is the Auto Bet function that sets a number of spins with a fixed bet. Super Caribbean Cashpot hosts 2 special icons that will contribute greatly in giving players great pays. The first one being the wild plank. This wild icon would replace all icons on the game’s reels to help players in getting a reward. The only symbol that it won’t replace is the scatter free spins yacht. 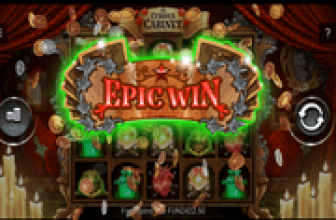 This free spins icon can trigger instant scattered pays, plus triggering a number of free spins on the slot. Super Caribbean Cashpot is a 5 reeled, 1x2 Gaming powered slot machine. The game has a lot to offer to players, starting from a great theme, to great rewards and prizes that are waiting for players within.